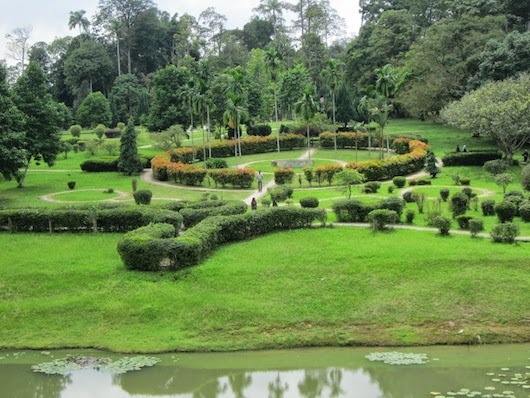 Malaysia’s National Botanical Gardens are one of the world’s largest. 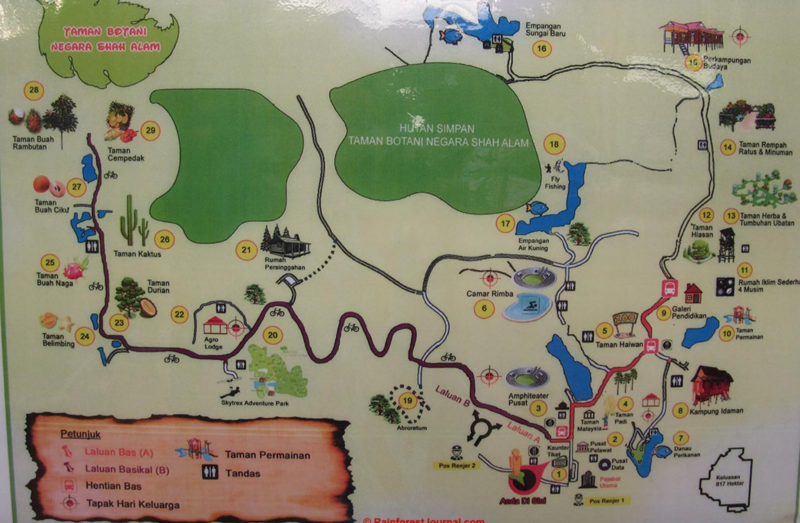 Located about an hour’s drive from central KL, this 2,000+ acre park and agroforestry center is a great spot for a ‘destination run’ if you have the time. Numerous hilly roads and trails lead through lush foliage, fruit trees, some 10 different gardens, a rice field, and more. As an end of run bonus, cool off in their swimming pool! There aren’t really good maps available for this park. The best bet for running is to enjoy some of the trails around the gardens if it is not too crowded, which could add up to a ~5 km loop. Or, run the road labeled for bikers — it’s about 4 km west. For some hill work, run/hike up 200 meter Handkerchief Hill (Bukit Sapu Tangan). Note: Hours are 7:30am – 5:00pm. Closed Mondays. Modest admission fee. 652 feet for 15k route; 422 feet for 12k route.